We are grateful for donations... Thank You! 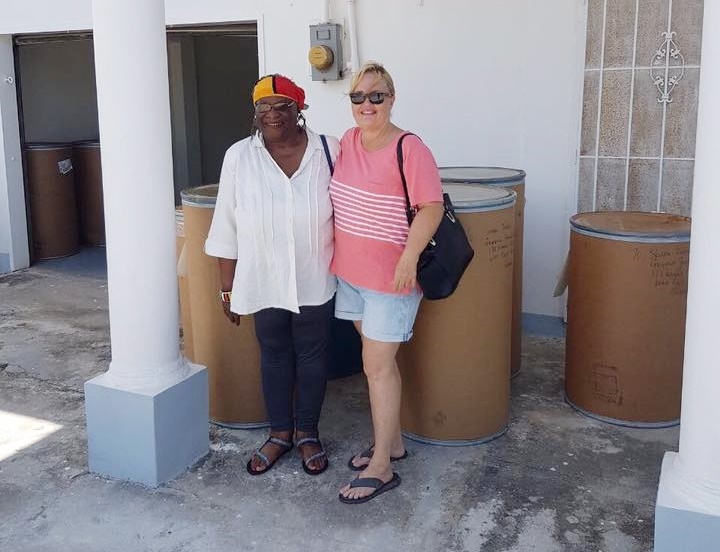 On Friday 22nd September 2017, one of our donor, Ms. Francis Yvonne Jackson travelled all the way from Chicago in the USA to distribute the contents of ten (10) barrels she sent to the Guyana Foundation at our Sunrise Center on the Essequibo Coast. Distribution of clothing and other items was also done on the East Coast of Demerara. Monique, a single mother of eight children, whom the Guyana Foundation assisted in collaboration with Food for the Poor to build a small house for her and her family, and who also benefitted from the kind doanation of Ms. Jackson, also appeared on our television programme in Essequibo. The Guyana Foundation and Team wish to thank Ms. Jackson and her donors very much for remembering the less fortunate in Guyana. Ms. Francis Yvonne Jackson with the Managing Director of the Guyana Foundation, Susan Isaacs. Volunteers helping to unpack and sort out the barrels. Volunteers helping to sort out clothing and shoes among other items. Older PostCommunities are in crisis; urgent action needed by the relevant authorities NOW!